JOHANNA MCGINLEY IS AN American ACTRESS. 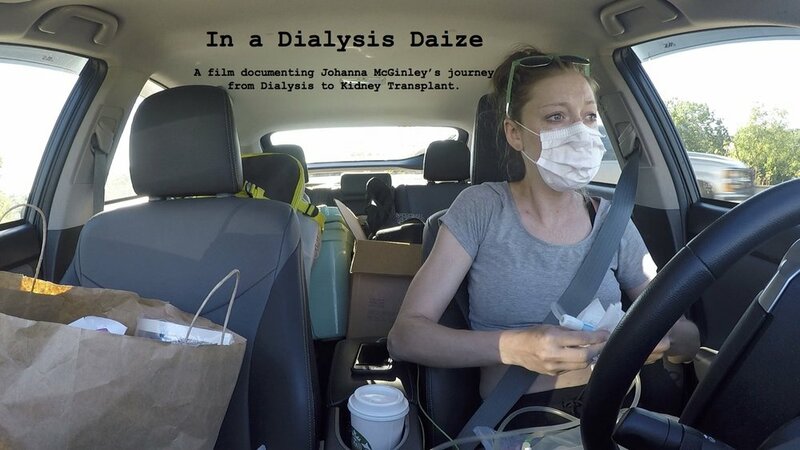 Johanna is currently filming a documentary called, In a Dialysis Daize. The documentary is about Johanna's journey from Dialysis to Kidney Transplant. At 29 years old, she was diagnosed with End Stage Renal Disease on March 30th 2017. She began dialysis the next day. Johanna moved to New York City straight out of high school to train at the New York Conservatory for Dramatic Arts. After graduating the 2 year Acting for Film/TV program, she moved to Ohio to give the Midwest Film Industry a try. She has acted in low-budget independent films to multi-million dollar film sets that include but not limited to: Outsiders, The Funhouse Massacre, and Dog Eat Dog. With high spirits and an expressive face, Johanna brings a certain energy to set like no other. She also has never limited herself to acting (See Acting Resume HERE). You'll see her working on crew (See Crew Resume HERE) as well, from Extras Casting Assistant jobs (Transformers 4, Batman v Superman: Dawn of Justice, 478) to Set Production Assistant jobs (Fast 8, Bye Bye Man, Marauders); even finding time to work on some Independent Short Film too (Acting AND Crew!). Her work ethic is incomparable. We plan to see great things from this young filmmaker. Since the documentary isn't finished yet; check out Johanna's NEW blog about her journey from dialysis to kidney transplant! Johanna is always working on something new. Keep up to date with her current projects. Find news articles, casting calls, and film announcments in here. Keeping people happy at the 14th hour is always Johanna's favorite task on set. See some of her goofy faces behind the scenes here! Multiple brand new demo reels are in the works for this section. Currently, there is a 1-min Drama Demo Reel available for viewing. Check it out! RT @Roadrash_Tim: @j_diddy_mcg As I appreciate you! ❤️ 🙏🏻♥️. I'm just a tweet or DM away if you ever need to talk.